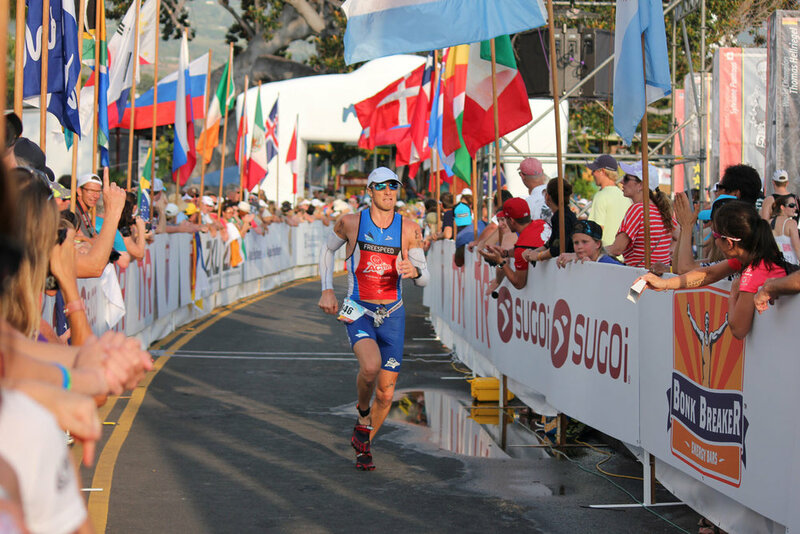 Until I met James I was a self-coached triathlete with 4 ironman races under my belt, including one trip to Kona in 2005 and one sub-10 hour time (9:55 at Ironman Austria in July 2007). I was proud of those achievements, but thought I had probably got myself about as fast as I could be at ironman triathlon and therefore wondered whether or not I would continue with it. Over the past three years with Optima however I have improved significantly every season, taking my best ironman times down first to 9:42 (Switzerland , 2008), then 9:28 (Switzerland, 2009) and then to 9:09 (IM Western Australia, 2010), along the way knocking 4 minutes off my previous best ironman swim time (to 57 minutes), more than 20 minutes off my bike split (to 4 hours 53) and 13 minutes off my ironman run split (to 3 hours 10). I have also qualified for Hawaii every year and have progressed from making up the numbers there in 2005 to feeling that I have a genuine shot at the podium in my age group (finishing 19th in 2008, 21st in 2009 and 14th in 2010, when I also finished in under 9 hours 30, a time I would not have believed possible for me three years ago). Thanks to James’ input and to the quality of the other athletes I get to train with as part of Optima I am convinced that there are further improvements still to come, even though I am now in my mid-40’s and could be expected to be slowing down rather than getting faster. On a technical level James took me right back to basics with my running and converted me from heel striking to forefoot running. This was a process that I found very difficult at first (mentally as much as physically, as the run was already my strongest discipline and I took some convincing that such a big change was sensible or necessary), but it has paid dividends and has contributed substantially to my triathlon achievements over the last few years and has given me a huge amount of confidence in my ability to make up places towards the end of races.